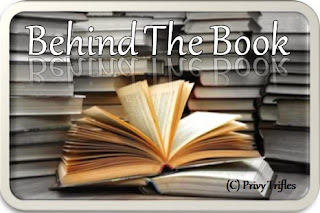 Today we have a very interesting and inspiring duo at Behind the Books. We have had the pleasure of interacting with Ms. Rashmi Bansal( I am sure she needs no introduction) and Ms. Niyati Patel of BloodyGoodbook. Before we talk about Bloody Good Book , a brief about both these lovely ladies. Rashmi Bansal is a writer, entrepreneur and youth expert. She is the author of six bestselling books on entrepreneurship: Stay Hungry Stay Foolish, Connect the Dots, I Have a Dream, Poor Little Rich Slum, Follow Every Rainbow, and Take Me Home. Her books have sold more than a million copies and been translated into 10 languages. She mentors numerous young entrepreneurs and conducts motivational talks for corporates. 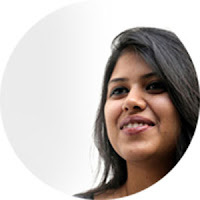 Rashmi is an economics graduate from Sophia College, Mumbai, and an MBA from IIM, Ahmedabad. University of London. She has always known that books and literature were her calling, and has pursued them throughout her educational career. Niyati truly believes that the greatest stories can change the world and is determined to find them. 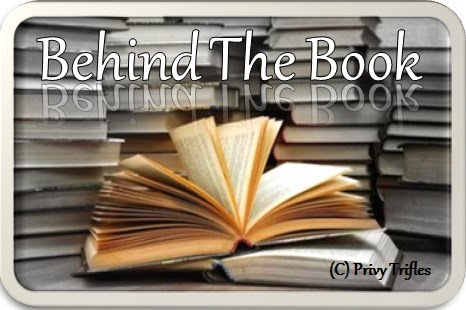 Bloody Good Book is India's first crowd sourced and crowd curated eBook publishing house Crowd Sourcing means that Bloody Good Book has opened its doors to the people at large in order to find new manuscripts. This is more transparent, inclusive and democratic. They don't promise to publish every manuscript they receive, but they do invite everyone to share their writing with them and the readers. This way, all their authors get a decent and fair chance to be read, appreciated and even published! Without much ado, lets hear their story from the horse's mouth itself! 1. ‘Bloody Good Book’ is a very catchy name and yet is unique, filled with mystery and awe. Can you tell us the story behind the name? During one of our meetings, my partner, Rashmi Bansal, and I were thinking of names for our new company. We were bouncing ideas off of each other, playing around with words that mixed well together. But none of them seemed to fit. Rashmi happened to mention that she had bought a domain name: bloodygoodbook.com. Short and sweet, it packed a lot of punch! It certainly reflected our democratic mission- to publish good books by the people, of the people, for the people. We wanted our readers to say, “That’s one bloody good book” when they read our published work. It also seemed trendy and fun, so we decided to keep it! 2. What prompted you to start Bloody Good Book? Rashmi is a writer and I am passionate about literature. A lot of aspiring writers find it difficult to catch the attention of publishing houses, and very often editors reject books that turn out to be runaway successes. We came up with Bloody Good Book to give these budding writers a fair shot at getting publishing. The readers were also our focus: we want to discover and promote amazing, well-written books that people love reading! 3. So our readers would like to know how it really works. What your website says- submit three sample chapters-we post it on our site- let our reviewers review it-and if you are loved you get published. Is it really that simple? Just a quick point of clarification- we ask writers for their whole manuscript and we make the first three chapters available to our online readers. So we make our decisions based on the entire book. To answer your question, it really is that simple! We now have close to 7,000 registered readers and 100+ manuscripts on www.bloodygoodbook.com. Our readers read, and review these books. We rely heavily on their feedback, so if they find a book that they love, we consider it for publication with our print publishing partner, Westland Ltd. But we also do exercise some editorial control in the selection of the manuscript. 4. Don’t you think by leaving the judgment of MS on the masses you are diluting the power of judging a good book which comes from the intense experience of years? In the past, a lot of publishers have declined books which became super-hits. Harry Potter is just one such example! It was declined by twelve publishers, and Rowling’s publishger only accepted it because his five-year old daughter loved it. In our case, we ask readers to curate for us, and help us and the author by telling us which manuscripts they enjoyed reading. Also, once a book is selected for publication, we thoroughly edit and polish the book. So our role as editors has not diminished. 5. What is in store for me as a writer at Bloody Good Book? Why should a writer opt for it? You will get honest,feedback from potential readers of your book. If your book is chosen for publication, we will craft unique marketing strategies for you and ensure that your book gets enough visibility. We also work extensively with its editing and designing aspects. 6. And as a reviewer? Currently, our site features over a 100 manuscripts, to which new ones are added almost weekly. You’ll have an assortment of genres to choose from, ranging from bubble-gum romances to psychological murder mysteries to mythological fiction. Some of them are written by retired people and some of them by college students. The sheer variety is exciting! You’ll also have the thrilling power to help realize an author’s dreams! 7. Coming out with your first book, "Brutal", how does it feel? Exciting but a little nerve-wracking! It’s our first book, so it’s almost like our baby. We’re going to cherish it; we’ve put our blood, sweat and tears into it. Brutal enjoyed rave reviews on our website and amongst us editors. It’s a complete page-turner, a complete thriller. I hope the people of India enjoy it as much as we did. 8. In case of rejection, do you get back to the authors with feedback? In the event that a manuscript isn’t made aceepted for the Bloody Good Book website, we do get back to the authors with feedback. 9. Given that India is slowly warming up to the internet craze, how much of a market share do you see in e books for a country like India? We see a lot of people reading on their phones, their Kindles and iPads. They also find it more convenient and quicker, because you can do it while travelling, and so on. The changes in reading habits mean that the market share for e-books is definitely growing, slowly but surely. 10. When you say we are here to target e-books do you also mean to say that the paperbacks are a passé now? Not really! Even though there is and will be a reshuffling in the market shares of both, paperbacks and e-books will continue to share space. There are some loyalists who say that paperbacks give you ‘a feel of the book.’ The same debate occurred in the age of hardback when the paperbacks were introduced; there were theories that hardcover novels would soon be extinct. Nothing of the sort happened, so we can say that paperbacks won’t suffer this fate either. 11. Apart from the mutual love of books, what is that other thing which brought you both together and still holds you both? Rashmi and I share common goals and a commitment to making Bloody Good Book a success. We believe that this venture can truly help new authors and be an opportunity for us to publish amazing, new books. That keeps us going. 12. 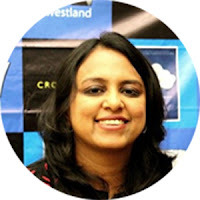 This question is particularly for Rashmi Mam – Not to belittle our love for you and your self-help inspiring books which we all love to death, I am sure the entire world wants to know if we can see you experimenting with genres anytime in future? Rashmi’s next book is a a stylistic departure from her previous work.. While the theme of entrepreneurship will continue, her new book will be on one wonderful organization—Akshaya Patra. Akshaya Patra is a unique NGO. Founded and managed by two distinct streams of society--religious monks of Iskcon and corporate honchos of Infosys—Akshaya Patra provides 1.4 million midday meals to children in government schools in India every single day. This book will chronicle their journey from the time they began, by serving 1500 meals, to today when they serve 1.4 million daily. It will also delve into how individuals from two such disparate sectors could come together for a common purpose. It’ll be very interesting and definitely inspiring. 13. What next – request if you can share some of your future plans with us? Our next book is very different from the edgy, hard-hitting Brutal. It’s called Roomies/Foodies and it is a cookbook specifically designed for students who are exploring how to cook while living abroad. The recipes are super-easy and useful and the anecdotes are funny and relatable. We are also going to publish a non-fiction book by Vinati Sukhdev, titled East or West. It’s a personal and relatable parenting guide for families living abroad. It explores dilemma of raising children abroad and the tension that arises between our Indian culture and the foreign one. Deepak Kaul’s witty The Epic Indian Novel is next. He incorporates elements of the Mahabharata in a modern corporate setting. It’s smart, provocative and uproariously funny. We hope to have more books published from our stable soon. 14. Your message to readers & writers both. Readers- Step out of your comfort zone. Experiment with new styles, new authors and new genres. Writers- Be true to yourself and your idea while writing, Proofread your work.